Digital Art is the lazy man's way of making art with their photos. The software used, such as Topaz Impressions, will digitally convert the photos into charcoal, pastels, or other types of simulated paintings. Sometimes the results will amaze you. This page contains some of my digital art pieces that I've created the past few years. Enjoy. I like to paint over photos I've taken. 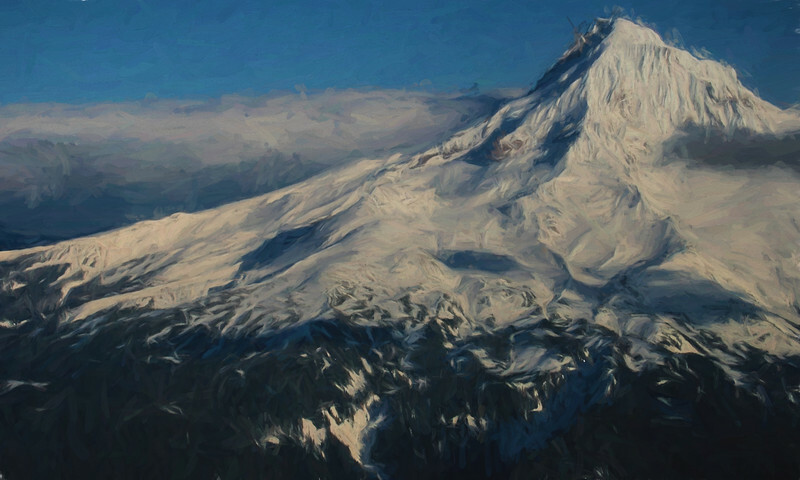 This one is of Mt Hood, using Corel Painter.